I wish you all a great New Year. As we look forward to the new year, it makes us look back to the past year, too. This past year has been a busy year for me. We moved the store across the street on the wettest day of the year in March. It got done, but it was very uncomfortable for those that helped. The new store offered a lot more traffic and became a place of comfort for many. Discussions were held there often about many subjects but mostly about quilting. As the summer went on, it became apparent that the economy was hurting all of us. I listened to many discuss that they or their husband, boy friend, brother/sister, kids had been layed off. Or often how people were struggling with having to be furloughed or take a loss in pay. It has been a hard year. I was glad to be there to listen and discuss what people were going through. Then the economy hit us directly and now the store does not exist. How I loved it and loved my customers. I miss you all. Now we look forward. I know this next year will be a wonderful year. I have learned as I have gone through life to take what is given us and make the most of it. If it does not work out, look for new challenges. I am excited to find our new challenges--I just want them to be fun and exciting. Enjoy welcoming in the new year.Love your family, however that is constituted. 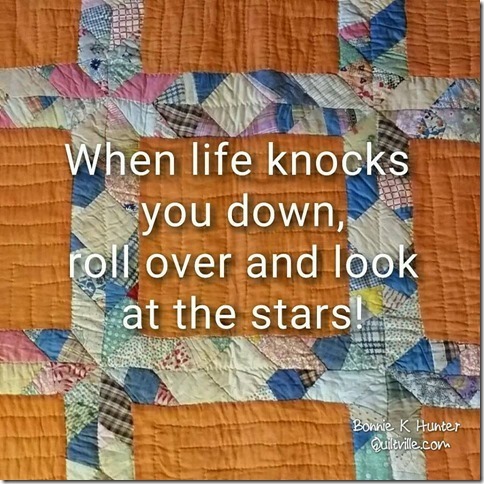 Quilt often (or do whatever it is that makes you happy). What a great time of year. We get to be with family and friends and drink egg nog. We get to shop. We get to travel. Even though we have our normal lives to live during this time, we take time to do all of the above, too, and to reflect on who we are and why we are here. I hope you all have a joyous holiday season. Today and tomorrow, Friday and Saturday December 4th & 5th, go to Woodland Eagles Auxiliary annual Home for the Holidays Gift & Craft Fair. It runs from 9 a.m. 'til 3 p.m. at the Woodland Eagles Hall 37650 Highway 16 (1/4 mile west of Raley's). A lot of handcrafted items to see and purchase. 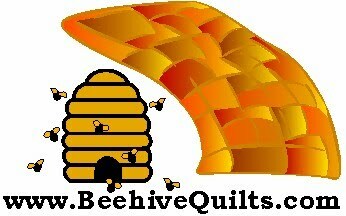 One of Beehive Quilts employees, Brenda, will be there with her items to sell. You will love what she does.